Check out THIS post to read about the packaging. 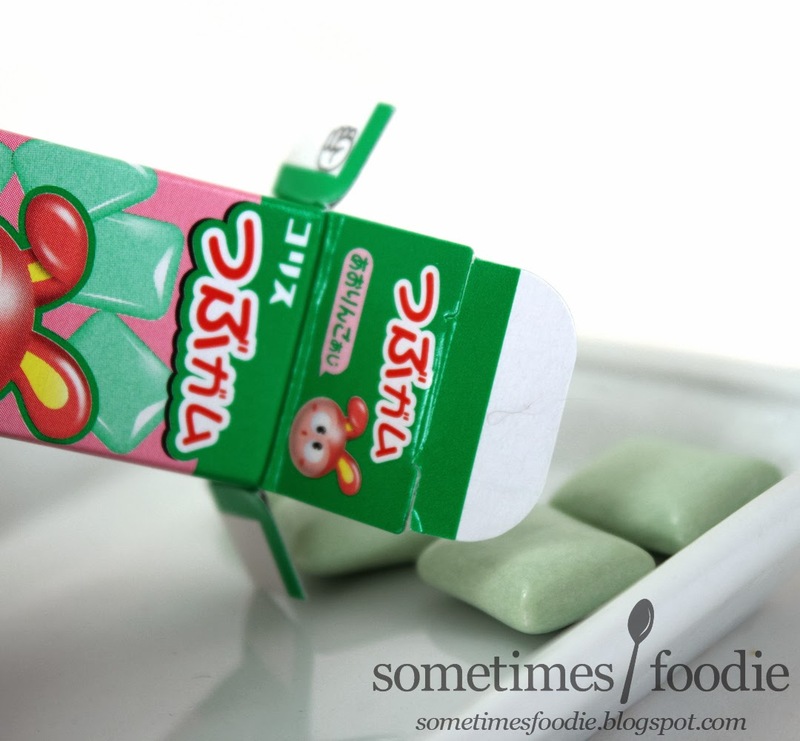 Okay, so yesterday I tried the grape bubble gum, and it wasn't bad, but I have to say Marukawa's version is a lot better. 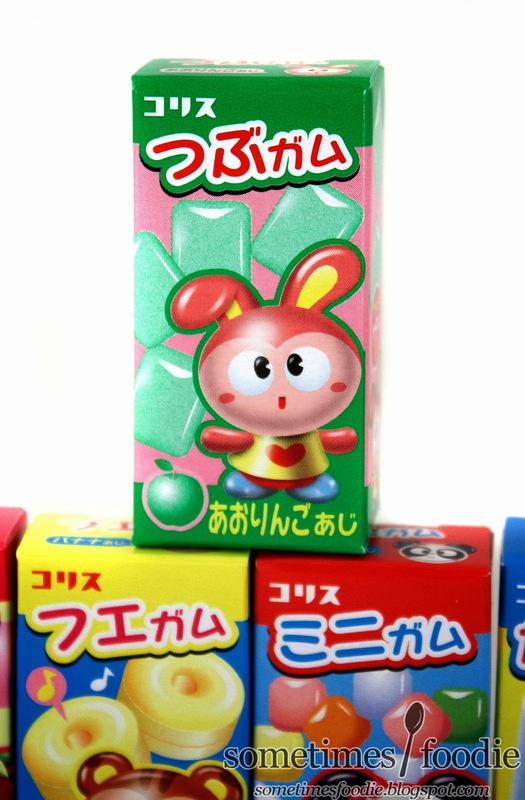 This time, instead of a monkey, the package features a little bunny character that looks like some kind of Hello Kitty knock-off, which gives me the same generic dollar store feel as the rest of the packaging. All in all, the box art could use a bit more attention. I opened the box and instead of being little spheres, like the grape version, this one contains small green rectangles. The gum has no scent, so I popped a piece into my mouth. 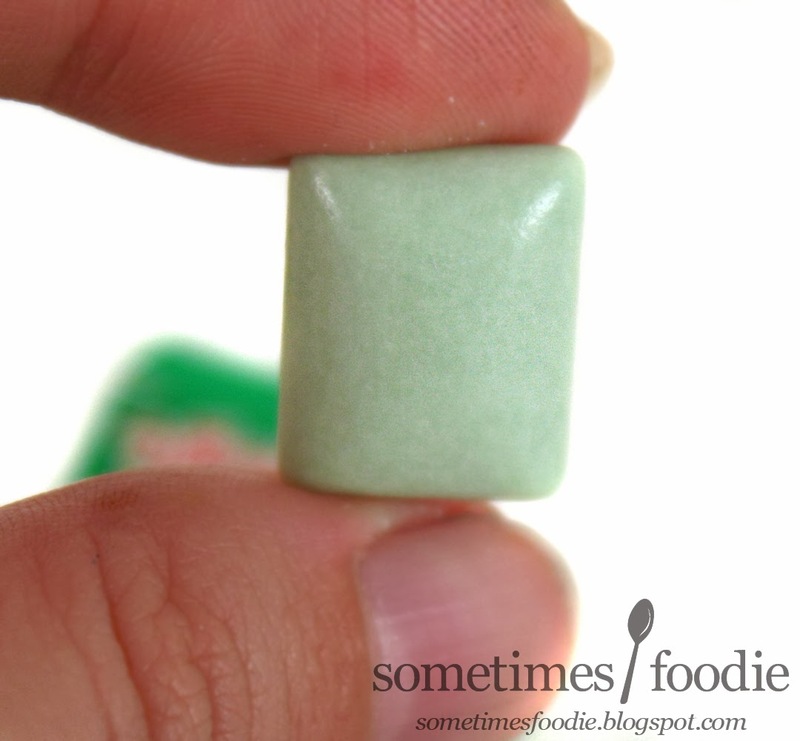 The chew starts out soft and bouncy, but it quickly gets stiff, and as it stiffens the flavoring fades away. After only a few minutes I was left with a faintly artificial apple aftertaste and a sore jaw. Out of the two flavors so far, the grape is vastly superior. If you like apple Skittles you might enjoy the flavoring while it lasts, but I am not a fan.